Large lot with 75 spaces. Also neighboring lot is available as well. Available for special events. 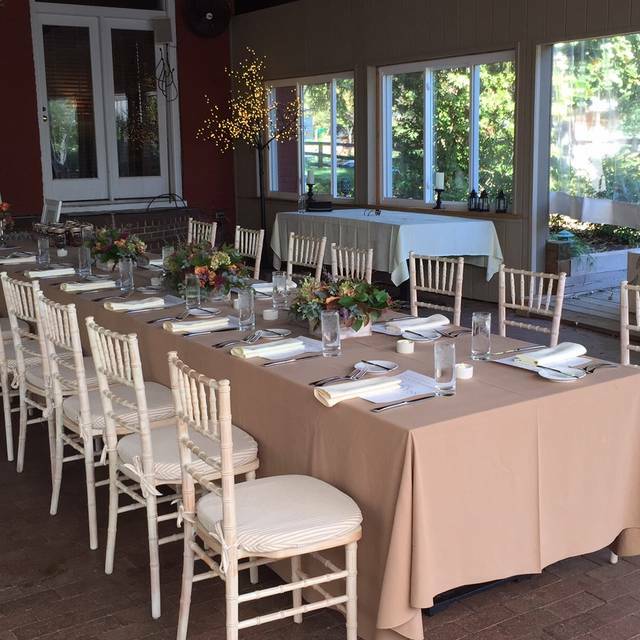 Wedding receptions, rehearsal dinners, bridal lunches or brunches, business dinners. Available for private on premise catering. We have four indoor dining rooms and a covered garden patio. Any and all areas can be reserved for private events. Our menu features locally influenced seasonal American cuisine crafted by our hands-on executive chef, Angelo Vangelopoulos, and his talented team, with inspiration from our incredible local farmers and purveyors. We are located about a mile west of the University of Virginia, in a historic house originally built in the late 1700s. Slow Cooked Veal Shank "Osso Buco"
The Ivy Inn is a special place. It’s an old house with uneven floors, a fireplace and a smooth bannister to hold on to if you're sitting upstairs, as we were. The food is delicious, even if you just decide to graze in the Appetizer section of the menu. W had fresh oysters (the best I’ve ever had), pork and beef meatballs, and sautéed wild mushrooms with herbs and s bit of fried goat cheese. I’m not describing these dishes well but you’ll recognize them on the menu. And of course we had dessert...profiteroles! The food was spectacular! Best meal we’ve had in awhile. From the Amuse Bouche to the end of the meal, all was fresh, delicious, and presented well. The only downside if there was one, was there was no bar and the seating was tight with no privacy. Overall all still a 5 star rating. Our first time having dinner at the Ivy Inn. Our waiter was impeccable. The food was just excellent. I would highly recommend this restaurant to anyone. Food was superb, service was very good. Very comfortable and welcoming environment. Excellent selection! Only disappointment was couple that came in at same time as us (8pm seating) with a 3-year-old in a high chair. You go to the Ivy Inn and pay the premium fare for an adult, romantic experience, not family dining. Ivy Inn might consider some policy for seating after a certain hour, or if they want to continue seating families, then a special, segregated area away from couples. Food and service were excellent. Very much appreciated that the restaurant accommodated my request for a quiet area to celebrate my wife’s birthday and that staff wished her happy birthday. Enjoyable evening! Very formal spot with European standard service. Excellent cuisine. This is a popular spot -- and there are reasons. People like good food with good service, and don't worry so much about those other things about restaurants which we find disappointing. 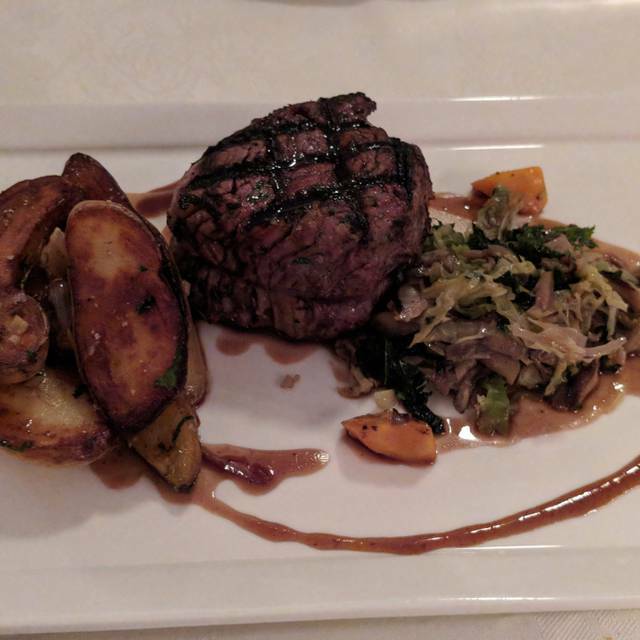 The Ivy Inn is pricey, but on the plus side for us, the Ivy Inn has continued to live up to expectations regarding the food -- creative, generally excellent, rarely disappoints, with good service, and is dependable if you want a very good meal for a special occasion. On the minus side for us, it also continues to live up to much lower expectations with regard to ambiance -- tables too close together, hard wooden seats, little privacy in conversations, poor lighting (you know it is a problem when people start using the light on their smartphones), and totally overpriced wine selections (but what is new? -- most restaurants gouge their patrons on this). In summary, it impresses with the meal and service, not so much by other measures. We put a priority on the quality of the meal -- so we continue to go -- perhaps because there are few restaurants anymore which are comfortable with regard to seating, noise, privacy, and lighting. And if you don't put a priority on the ambiance factors -- it is a good value proposition. Great as usual. First class service, food, and atmosphere. First time visit (will return) picked because of stellar reviews and we weren't disappointed. Everything was excellent and we agree with all the positive reviews. 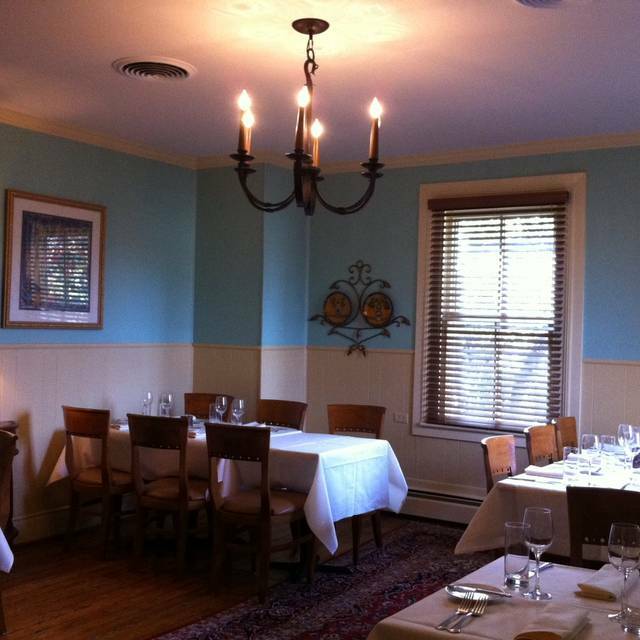 Would place the Ivy Inn in my personal lifetime (50+ years) list of memorable restaurants. Another fabulous birthday dinner. The cook and waiter were great. Good help with selections. Outstanding as always. Lot's of varied and amazing items on the menu, quiet atmosphere. 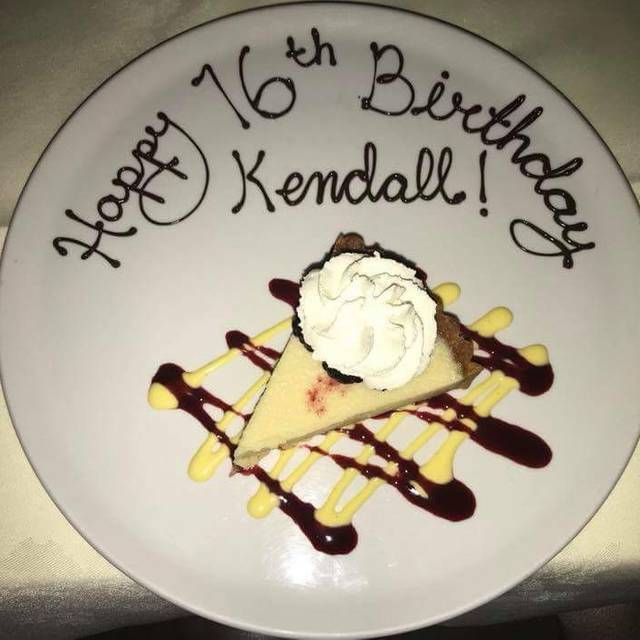 They take special care in helping celebrate any occasion. This is our go to for anniversaries and birthdays, etc. They never miss! Wonderful birthday dinner celebration. Excellent food, wine, and service. Delicious food and fabulous service. Great place for a date or a quiet business meeting. 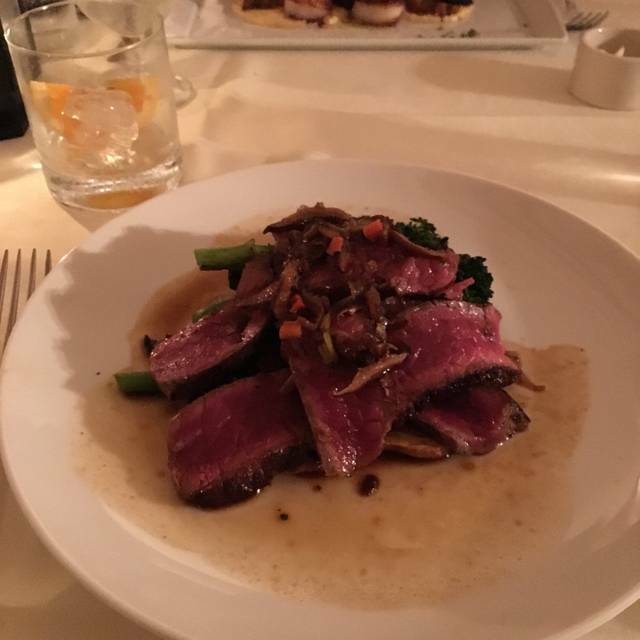 I have eaten at the Ivy Inn about 20 times, and it has always provided great food and great service. Never disappointed. Food was delicious. Wine selection is excellent and reasonably priced. Server was great!! The food, the service, the atmosphere, all were exquisite. The perfect place for a romantic dinner with my husband. This restaurant has put me in my happy place twice now! Can’t wait to bring other out of town guests with confidence that it’ll be spot on! Thanks Jessica for the great service and attention to detail. All were happy and it was a great experience again. Can’t recommend a specific dish because all were equally satisfying! 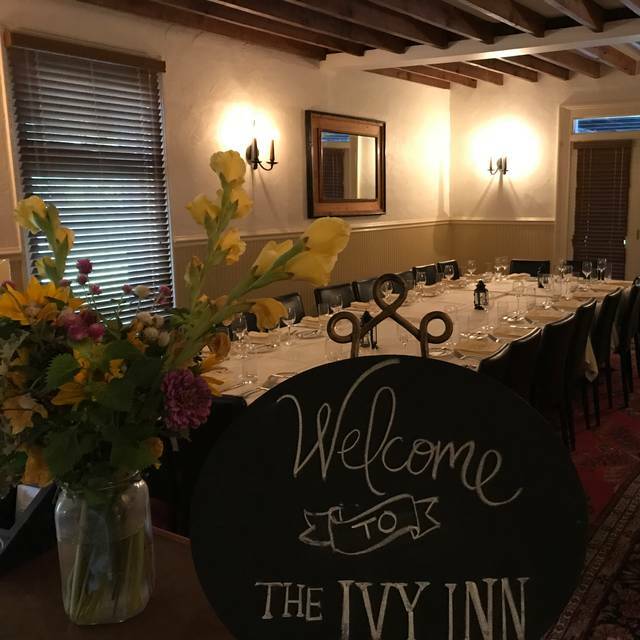 The Ivy Inn is our "go to" place for special occasions and out of town guests. There has not been a time that the food has not been outstanding and the service top of the line. You staff is always friendly and the dining experience is something we talk about for several days afterwards. Thank you for maintaining your level of excellence. Visiting the area with my two teenaged kids. We had a superb evening! 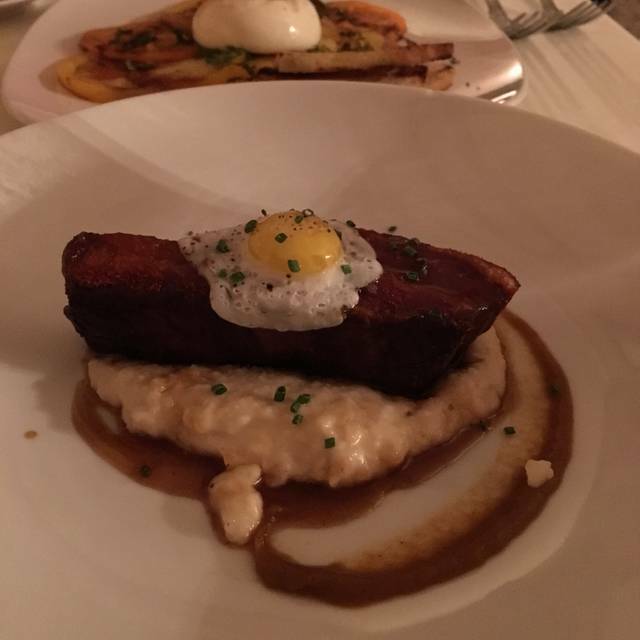 Delicious food, unpretentious and still phenomenal food in a delightful setting with impeccable service. I think this place would meet anyone’s standards for a fabulous evening. Consistency is the best to characterize the place. That quality is not learned, it is within you. I have visited the Inn four times in the last two weeks. Met by hostess as we entered. Guided us to our table and presented us with customized menu entitled “Happy Anniversary”, and a complimentary glass of champagne.A nice touch. Matt our waiter attentive and helpful throughout our meal. Meal of Trout with a medley of South Carolina Gold rice with diced veggies, preceded by the house salad was great by her estimation. 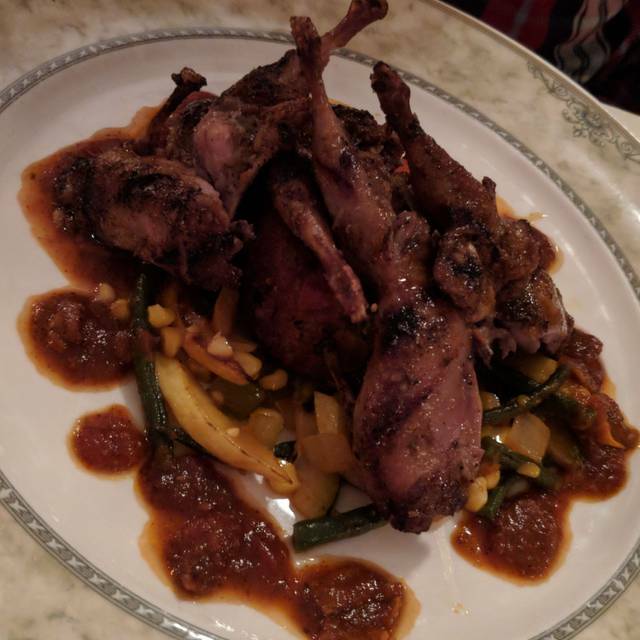 I started with a superb Gumbo accented with four fried oysters which in and of itself would be a meal at a double portion, then followed by Veal Osso Bucco on a bed of creamy garlic polenta punctuated with grilled Brussels sprouts. All good. Topped off the evening with a chocolate something for the wife and apple crisp w/ scoop of vanilla ice cream for me. Only our second visit to this venue but we resolved to at least come here for every anniversary. We were seated near a party of 8 and the noise level was uncomfortable at best. I was disappointed that they were not more sensitive to this situation, because it was Sunday and there were many options available where we could have been seated to improve our experience. All around amazing. My wife and I came here to celebrate our 10-year anniversary. I would recommend to anyone and everyone who visits the area. My only regret is I don't live closer to try more items on the menu! We had the Polyface Farm chicken. Delicious! We loved having the opportunity to eat such well prepared locally raised pastured chicken. Also highly recommend the mushroom medley appetizer. Service was a little slow, but the place was packed so we understood. Lovely space in the upstairs dining area. Liked the food and attentive service. Absolutely a must for any human in the planet. Magical. Thank you. 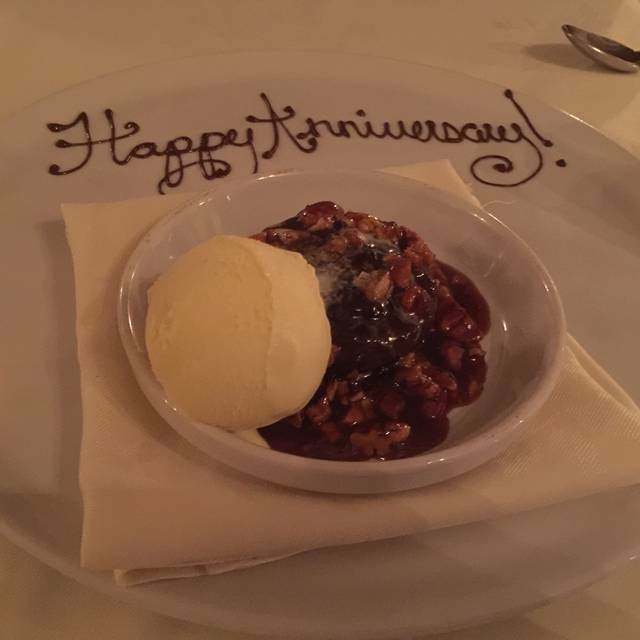 We were celebrating our anniversary, and the Ivy Inn pulled out all the stops. Great food, exceptional service and lots of nice nods to the special occasion. I highly recommend! A wonderful place to be with friends and family when you need a quiet atmosphere and tasty food--so hard to find in today's communities much less Charlottesville! The food was great and the staff was very friendly and attentive. Overall, very pleased with this place and would definitely visit again. Our party of four had an excellent dinner here on a Sunday evening. We all had different appetizers and entrees, from the favorite shrimp and grits appetizer to a duck entree and the sticky pudding dessert and much more. My 80-something mother had difficulty hearing in the upstairs room due to a loud table of six next to us, which is hard to avoid in close quarters. Always a lovely evening out. This is hands down the best restaurant in C’ville. The food is always amazing and the service unmatched. Thoughtful detail to each course! Attentive service. Nice house wine selection. The entire dining experience was excellent. We are looking forward to our next visit.